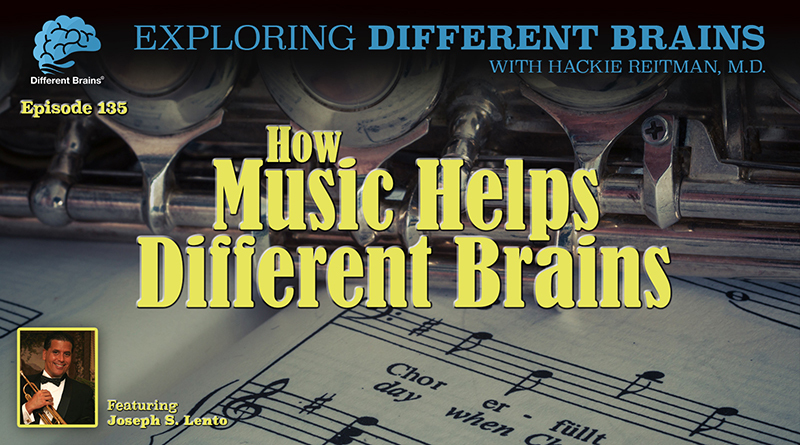 In this episode, Dr. Hackie Reitman speaks with musician and educator Joseph S. Lento. .To listen or download the podcast version of this episode, see the embedded player below. HACKIE REITMAN, M.D. (HR): Hi, I’m Dr. Hackie Reitman and welcome to another episode of Exploring Different Brains. Today, we have the pleasure of having with us, Joseph Lento, the maestro, a conservatory, trained, professional musician, teacher, advocate who does so much for so many of us whose brains happened to be a little bit different and he’s gonna tell ya all about it. Joseph, welcome to Exploring Different Brains. JOSEPH LENTO (JL): Thank you you much Dr. Reitman. It’s really an honor to be here. HR: Well, the honor is ours and you can call me Hackie. Why don’t you go ahead and introduce yourself all better than I did so our audience can get a feel for all the different stuff you’re doing. JL: Well, I think you overgenerous in your introduction and I really appreciate it. You know, I’m a kid from the Bronx. Grew up playing stickball, football, all those things and you know, loved music from the time I was 5 years old but we were pretty poor and couldn’t afford the trumpet that I wanted and when I got into middle school, I was given the opportunity to play the trumpet and it changed my life and it really help me organize my thoughts and feelings and how my brain works and I realized then how important our music was to all of us even if you didn’t want to pursue it on the professional level. I saw what it did for kids. HR: And where do you think you would be if it weren’t for music? JL: You know, I was only talking about that the other day with one of my brothers and another buddy from high school. I really don’t know where I’d be. I really don’t even like to think about it. Because of music, I have the career and blessing of being an educator. I’ve been a professional musician since I was 16 years old. I’ve played for, you know, wonderful people my entire life. I don’t know where I’d be without music. I certainly would not be here, speaking with you. HR: Not many people I meet get named by President Barack Obama to be a national teacher of the arts and humanities, which happened to you in 2014. How did that affect you, if in any way? JL: It was a great honor to be recognized by President Obama in that way. Of course, there were millions of deserving teachers across the country. It really said to me that the people really do understand what the arts are about. We often think about, especially them in our political landscape, they really give thought to these things and they understand the importance of it. That message really reinvigorated me to what I was doing, and I said, “Well, if President Obama really thinks that much of a kid from the Bronx doing what he loves, then I’ve got to do even more than I’ve been doing.” I’ve really been more motivated than ever these past four years. HR: You’ve been in either Yonkers or New York doing your thing for over 26 years. JL: Actually, I started in 1984, so it’s 34 years come this September. HR: Wow. You don’t look old enough. JL: Oh, I’m old enough. HR: Alright. Now, one of the reasons you and I see eye-to-eye on a lot of things is that you know that each of our brains is different and you get that society needs to understand and embrace diversity for the benefit of all of us. This manifested itself in something you developed called Class Act. Why don’t you tell us how Class Act evolved? JL: Sure, and I can’t take full credit for it. Ms. Kelly was the co-founder with me on that. She is a woman who is a great musician and a school administrator, probably 30 years into her career at that time, and I was a neophyte. I was a real beginner. But it began in 1985, when I had my first permanent teaching assignment at my Alma Mater Leiman High School in the Bronx. In those days, getting a music position was very, very difficult, but the principal wanted me to be there, and I wanted to be there. I had minored in history, so I had gotten a license to teach what they called social studies to special needs students. I had the prerequisite special education credits, but I didn’t know what I was doing, as most people don’t know when they first enter the classroom. You learn so much from the kids and this unique group of students had emotional disabilities; they had physical disabilities, and they were just absolutely great young people. I said to them, “Why not learn how to play instruments in addition to learning about social studies?” So I set up a little space in the back of the room, cobbled some instruments together, and before you know it, we had a band program for the special needs kids at Leiman High School, which, until that point, they hadn’t even been given a music class. Ms. Kelly and together we put our kids together. She was doing the same thing in her school. We found out that we were the only people doing what we were doing. When we joined forces, we made the band Class Act. They performed and it was amazing, just amazing to see what music did for those young people who nobody thought they could think differently than how they presented. HR: Very interesting. How did you and your brain choose the trumpet? JL: You know, I was five years old. I will never forget this moment. I was in the living room, and big as life, there’s Louis Armstrong. That big smile, that handkerchief, that trumpet. I looked at him and I said, “I want to be him.” My living room is essentially a shrine to Satchmo. His influence on music in the 20th century for not only jazz, pop, but also orchestral music. He had a great, great influence on trumpet players. I saw him; that’s all I wanted to do. Seven years later, I got the opportunity to do it. As a matter of fact, I’ll tell you a story if I can. I was rejected for band in the second grade. A music teacher, I was actually rejected for a band class. We were at ??? where I attended elementary school, they were putting a band program together, and a gentleman came in the room and auditioned us. And he asked me to move my fingers as if I was playing a trumpet. I said, “I got this. I’m gonna be in the band.” I was rejected for the band and I went on to become a professional musician, so that shows how little teachers took into account that everybody can succeed if they are given an opportunity, and how music can bring out successes that some children might not ordinarily have. I didn’t let it stop me. I just kept pursuing it until I was in a position to get that trumpet. HR: Well, the great teachers let you take a shot, as my old friend Angelo Dundee, who had fifteen world champions, Muhammed Ali, he used to say, “Let them take a shot. Take a shot. Get in the ring; see what they got,” kind of thing. Louis Armstrong, you talk about him. I remember the words that struck out to me; they were doing a special on him once, was “the irrepressible humanity” that you just felt around him. You just felt that good feeling which is a quality in itself, and able to translate that into his music. JL: Oh, absolutely. He was just, for many, many years, he went around the world as an ambassador for our nation, and there wasn’t anybody who didn’t smile just by looking at him. What you said, you summed it up beautifully. HR: Now, tell us what you’re doing presently. JL: Well, right now I’m preparing to do interview for Manhattan Cable. This is the third year that they invited me on and it’s going to be a round table discussion on the inclusion model which began about 1987 where students with special needs were first mainstreamed into the general education classes. We’re going to also be discussing how parents can get the programs that their children with special needs must have and we’re also going to talk about, there’s a big movement now known as the reflective practices movement. And it’s…no more do these schools want to deal with discipline in the traditional way but they want to have these transformative practices where they discuss the behavior of the student and so on and so forth and you know this is something I’ve been doing for a very very long time, not even really knowing it cause when you use music you’re transforming, you know and having these reflective practices all the time. So we’re also going to be discussing the reflective practices and how I would see integrating it in a real academic and artistic way. A lot of place just sort of playing music for people and there’s no real socratic follow up on getting people to think about what there doing. So, I think we’ve kind of put together a nice package that I’m going to talk about more on that program. HR: Understood. Okay. Now Joseph, what do you like doing the best? Do you like playing music or teaching? JL: Well there’s no doubt about it. Teaching is my favorite. There’s just no better feeling than what you’re seeing. Young people. You know, when their playing those instruments I can actually see their minds all opening up. I know that might sound corny but it’s true. Because you can just see it and then you hear it and you can see the way they interact with the other kids in the class which before they have that same interaction with, so there’s nothing better than having somebody realize their potential and especially when it’s music it gives a great deal of satisfaction. But I love to play music and I love to play my trumpet and so on but there’s, you know if I have to choose between the two we would be teaching every time. HR: Very well said. Joey is there anything else that you’d like to cover that we haven’t covered during this. JL: Well there are a couple things if I may. One of them was, you know many years ago I actually put into a study what was going on with the kids in my program. You know, it wasn’t anything new that people had done before but in terms of the populations of kids I was using that was different. I was teaching at Lemon High School, and I used, probably close to 200 students in a study and they were not only kids with the highest traditional IQs but also kids with emotional in academic problems and I did a side by side comparison of the students who took instruments with music and those who did not. And the kids who took instruments with music including the ones that before had lower grades of the sudden we’re now scoring much higher in every academic subject that was taught in the high school whether it was foreign language, science, math, history. All of them with a minimum of two years of experience in my class now began having much higher grades and I’m very very proud of that because it really shows the power of music across all different brain types. So, that’s something I still use till this day when I’m discussing things with people. And also making music more accessible to our students with special needs. I’ve recently been involved with the company called Looe Music for which I’m not a paid endorser or anything like that. And they devised a polymer trumpet which you don’t hear to my right which is so light weight that people who have motor difficulties and who lack certain upper body strength, they can negotiate this instrument as I’m very, very happy to began the process of opening up awareness of the instrument. This a prototype and it’s not complete yet. Now I’ve played it and it’s got a wonderful sound and soon when the finished product is available I’m going to play it and I’m going to share it on the Linked in website but, the cost value of something like this, but also be something that, special needs communities can afford. And bringing music to special needs communities is something really, really, wanna do. So anyway I can do it, I’m going to do my very best to do that. HR: Now is there an age in which you can’t learn music anymore if you you’ve never done it? JL: Oh, I would say absolutely not. Absolutely not. Of course starting earlier is better, you know, I wish I could have started when I was 5, but it just wasn’t in the cards. But that doesn’t mean that you can’t make up the ground. So no. Anytime you want to start an instrument, please by all means. You know, playing an instrument opens up your mind and your heart in ways that you can’t imagine. In order just to play a clarinet or a saxophone or a trumpet, your brain has to do 8 or 9 things at once. And when I see a kid with special needs who might not have a typically high IQ and their playing that trumpet and doing great, I say people don’t realize all the things that are going on their mind at this one time. You have to decode, you have to evaluate, you have to put emotion into it, you have to use air. It’s fascinating what the human body and brain has to do to negotiate an instrument. HR: That’s very instructive you know, and we’ve had some people on Different Brains who uh, you know, musical therapist, music therapist. Which, you know, was getting a bigger, bigger whole now with special needs is well. HR: And uh. Um. Well thank you so much with sharing with all of us. I’ve learned a lot today and it’s been a real pleasure to speak with you and I hope you’ll have time to come back and talk to us again sometime. JL: Dr. Reitman, it will be my absolute pleasure. And I want to congratulate you and your entire staff what you’re doing. I share all the information that you send out. People are amazed. They write back to me and say, “This is amazing,” and it is. So my hat’s off to you and your entire organization, and I look forward to speaking with you in the future. HR: Well thank you very much. We owe it all to our wonderful interns and staff. We’re terrific here and uh, all of us have different brains here or uh, neurodiverse bunch here but thank you very much for the kind words and, for all of us here at differentbrains.org, thank you so much for being our guest on exploring Different Brains, Joseph Lento, professional musician, maestro but most importantly, a teacher and and innovator who uses music to reach us all. Thank you so much! JL: Thank you Dr. Reitman. 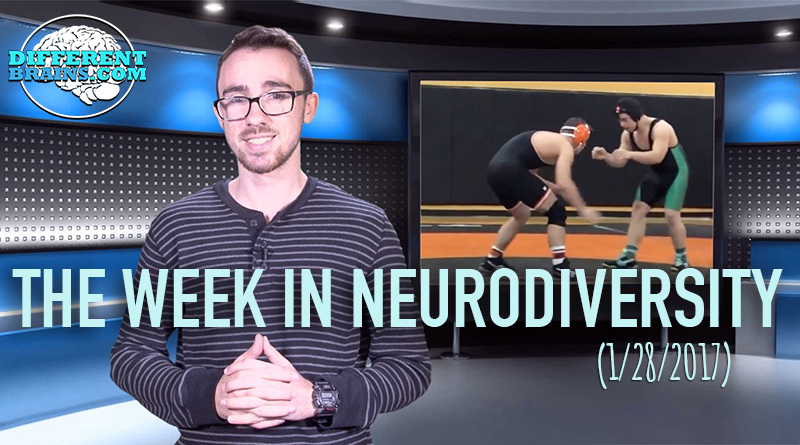 In this episode, a teen with Down syndrome wins his high school wrestling debut, students walk for Alzheimer’s in honor of the Pat Summit Foundation, and a have you seen this viral clip of a Parkinson’s patient leading a dance? 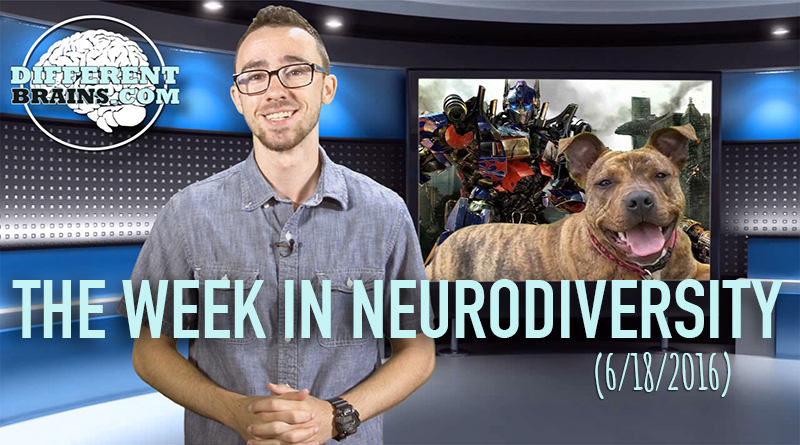 These stories and more in this week’s episode. 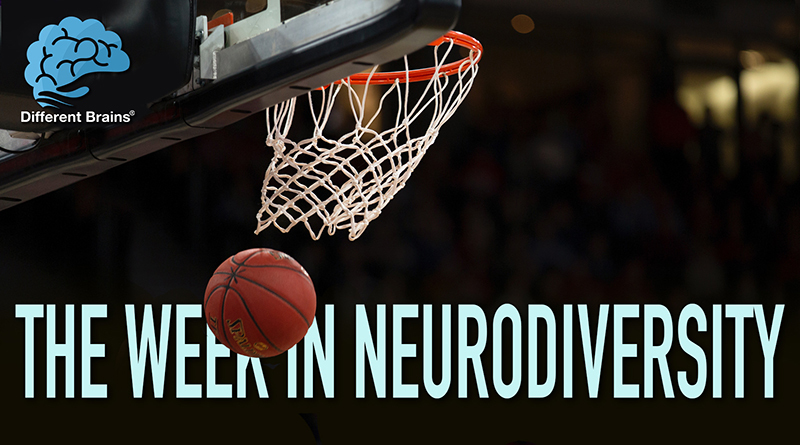 (3 min 30 sec) In this episode: a man with Parkinson’s donates $100,000 for St. Joseph’s, an entrepreneur with Down syndrome has her jewelry business explode, a blind high school basketball player with cerebral palsy hits an amazing shot, and more!